Spores ripen June-July. Evergreen. Native. 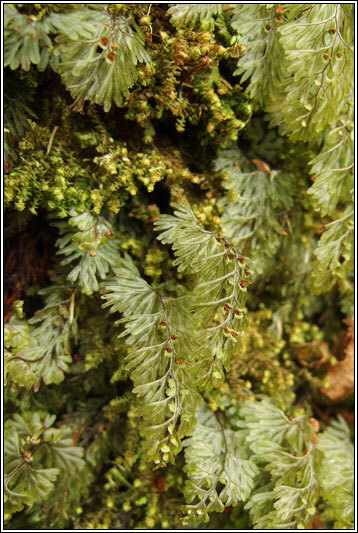 A very small fern, moss-like in habit and easily missed. 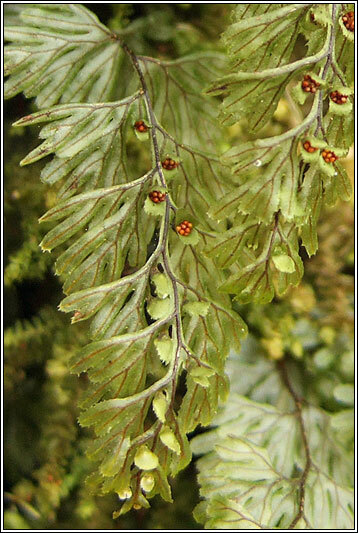 Light-green fronds with blade irregularly divided into oblong segments. Dark veins ending before edges. 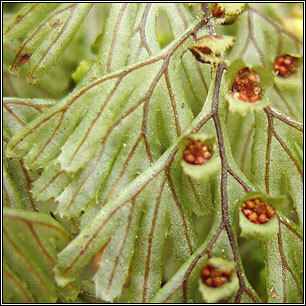 Fronds 2-5cm long. Sori enclosed by paired scales with toothed edges. Occasional in SW, rare in other parts of Ireland.